OPB April 14, 2011 8 p.m. | Updated: April 2, 2015 6:19 a.m. He always loved art, but it wasn’t until after a couple of other careers that Ken Roth turned to painting full time. 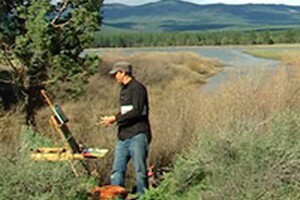 He’s now one of Central Oregon’s most successful painters.